After a walk to the falls in the beautiful Minnamurra rainforest we stopped at Oggis on the main street of Jamberoo for lunch.There were a few other patrons around enjoying coffees and lunch. 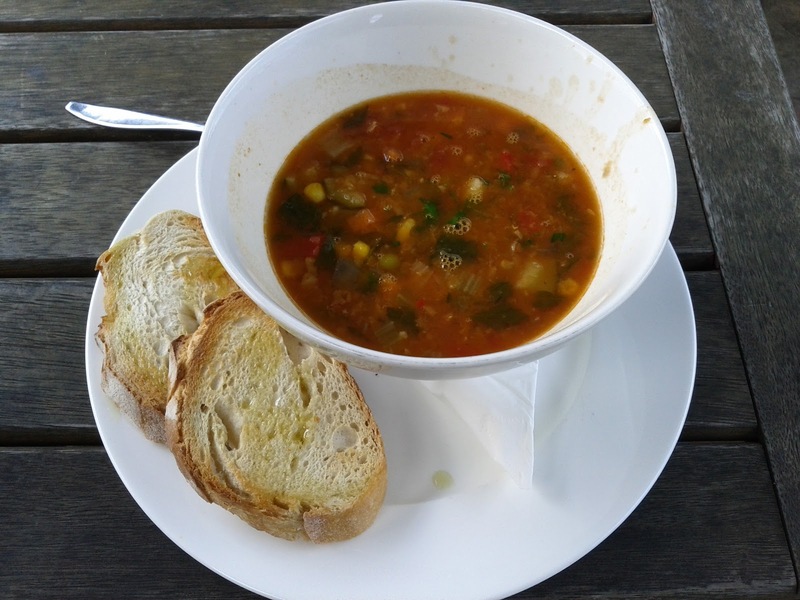 I had the soup of the day, which was minestrone, and proved a popular choice on our table. The soup was packed with veggies and was nicely flavoured, but I missed the beans that are often an ingredient, the serving was on the small side too. The service was OK if a little on the basic side, and an omelette didn't come with the requested ingredients.Not a bad spot if you are the area though.